Bringing design expertise and an ethos of clean climbing to Yosemite and other big rock challenges, Tom Frost mastered granite and ice and helped forge tools to aid damage-free ascents. Tom Frost, ’58, died August 24 at his home in Oakdale, Calif., from complications of prostate cancer. He was 82. 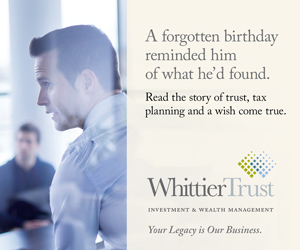 Growing up in Newport Beach, he became a national sailing champion as a teen. At Stanford, he majored in mechanical engineering and was a member of the rowing team. He found his life’s focus when he joined the Alpine Club and met Henry Way Kendall, the particle physicist, climber and photographer. Kendall, who would go on to win the Nobel Prize in Physics, became Frost’s club mentor. “He took me under his wing and taught me how to climb,” Frost once said. Kendall also introduced Frost to photographing the spectacular vistas and intimate close-ups only climbers can see from their rock-face vantages. 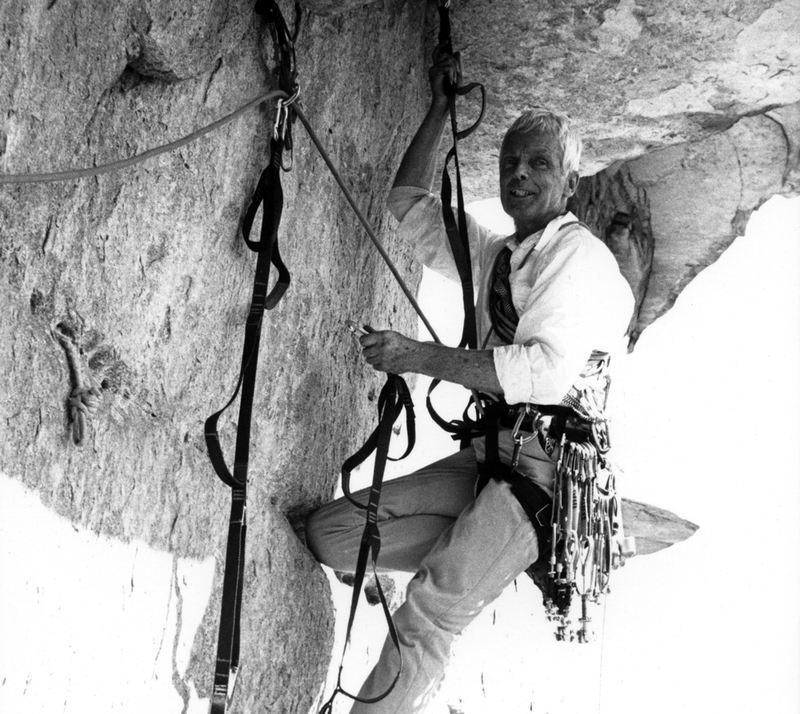 Frost brought a camera along as he and teammates made a breakthrough climb up Yosemite’s 3,000-foot El Capitan in 1960. His view through the lens launched a lifetime gallery of vertiginous black-and-white mountaineering photos and eventually led him to a career designing lighting equipment for photographers. Frost’s trip up El Capitan wasn’t a first. A team two years earlier had done it the old-fashioned way, by bolting fixed ropes into the sheer face and taking 45 days spread over 18 months to make the ascent from the valley floor. Frost and his teammates considered that unsporting. They used ropes but no bolts, scaling El Cap’s Nose Route in a single push they completed in under a week. “For us, it was almost a sacred business how we climbed, not what we climbed,” Frost said in a 2014 interview with Stanford. Frost scaled peaks in the Tetons, the Northwest Territories, the Alps, the Andes and the Himalayas. He joined climber and environmentalist Yvon Chouinard, the founder of Patagonia Inc., as a climbing and business partner for a time; they designed climbing tools to avoid the cliffside scars left by pitons. In the late 1990s, Frost began a successful movement to protect Yosemite’s Camp 4, a climbers’ mecca that was named to the National Register of Historic Places in 2003. Survivors include Frost’s wife, Joyce; his daughter, Marna Alexander; son, Ryan; seven grandchildren; and two brothers.